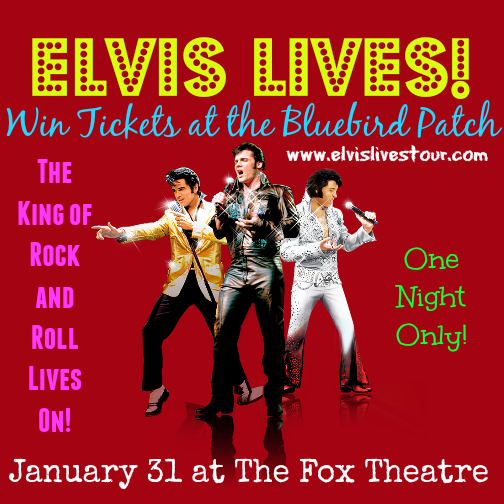 ATLANTA, GA – On Stage Touring, LLC, in association with Elvis Presley Enterprises, Inc. (EPE), is proud to announce the national hit theatrical Elvis Lives will be presented for the first time in Atlanta, GA at the Fox Theatre Saturday, Jan. 31 at 7:30 p.m. Tickets ($38, $58 and $100) are on sale to the general public Friday, Dec. 12 at 10 a.m. at www.FoxTheatre.org, by calling 855-285-8499, or at the Fox Theatre Ticket Office. Discounts for groups of 10 or more are available by calling 404-881-2000. Elvis Lives, whichkeeps on capturing the imaginations and interests of fans of all types including Broadway, concert and Elvis aficionados, is an unforgettable multi-media and live musical journey across Elvis' life featuring winners from Elvis Presley Enterprises' annual worldwide Ultimate Elvis Tribute Artist Contest, each representing Elvis during different stages in his career. The Elvis tribute artists will be joined by a live band, back-up singers and dancers, along with an Ann-Margret tribute artist, as well as iconic imagery made available from the Graceland archives. Want to win a pair of tickets for the premiere? Leave us a comment below and register your entry on our giveaway widget. Winner will be announced on January 27 and have 24hrs to respond. For more information visit: www.elvislivestour.com.